Hey, everyone! I’m back again for another Make It! Monday post. 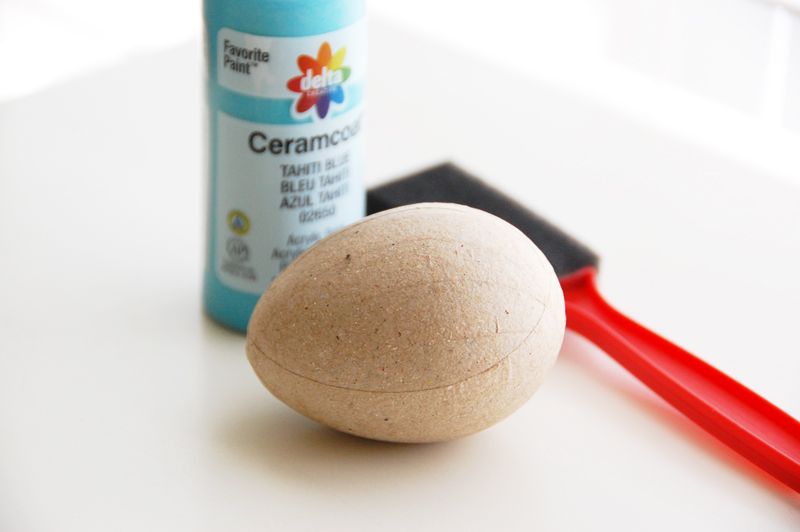 With Easter just around the corner, I thought it would be fun to create some decorations perfect for the mantle or the dining room table—paper maché Easter eggs. 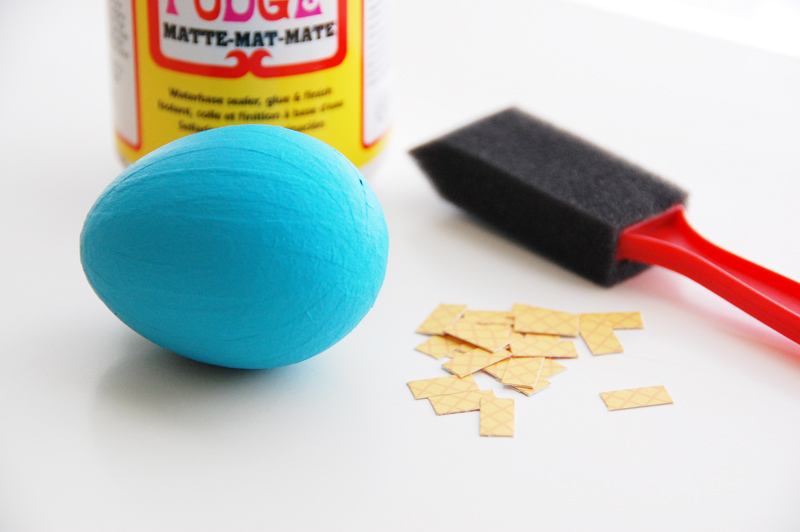 These eggs are easy to create, but they are a bit time-consuming. 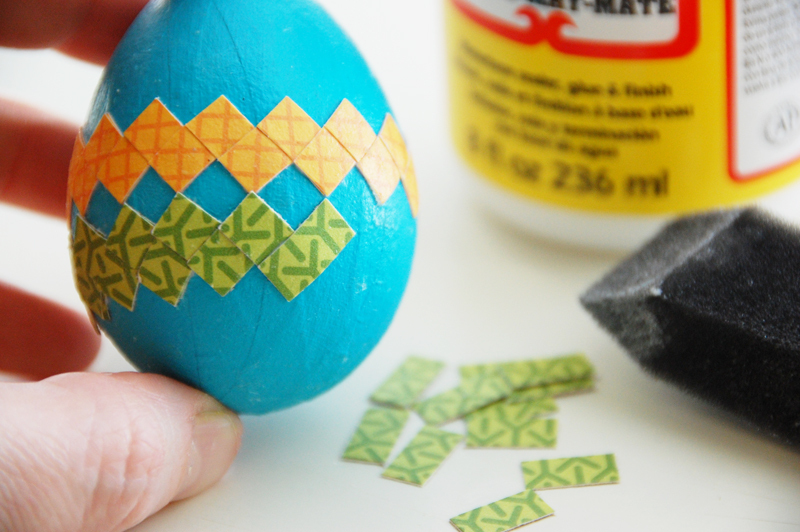 So make sure to set aside plenty of crafting time to make your own little beauties. 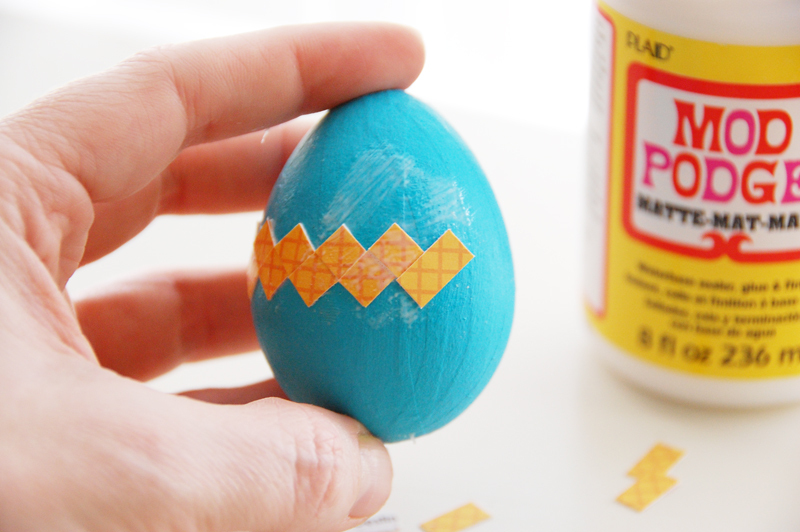 First off, you will need some paper maché eggs, acrylic paint, and a handful of brushes. 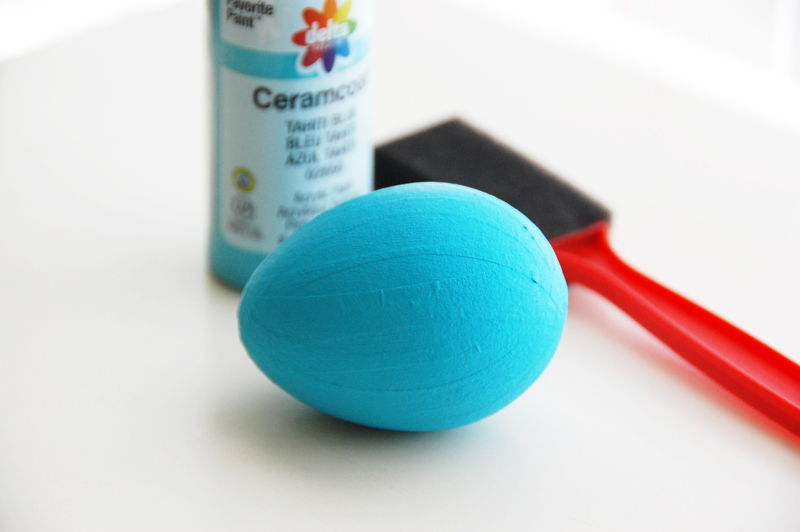 Give the eggs a few good coats of paint, allowing time to dry in-between coats. Next, cut some small strips of patterned paper. 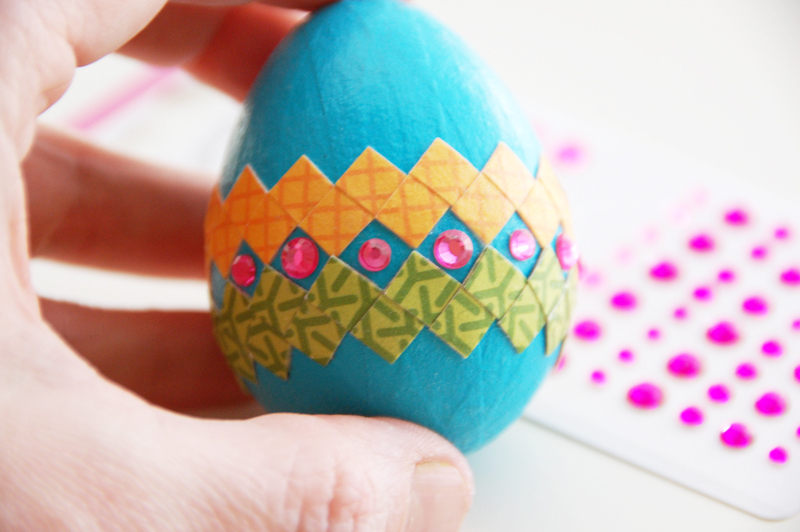 Adhere the strips in a criss-cross pattern around the middle of the egg. After adhering the first row, adhere a second row of another color just below the first, touching the points and leaving diamond-shaped spaces in-between the rows. When you are finished with the second row, fill in the space with jewels or pearls. 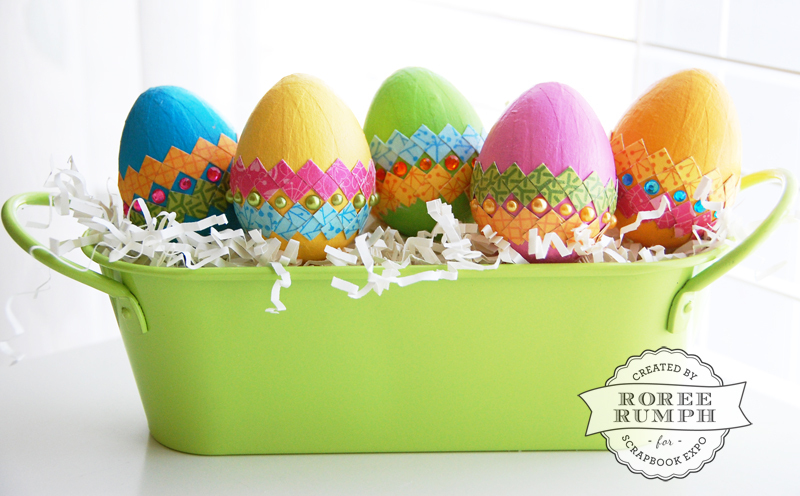 All that is left is to add your decorated eggs to a basket or container and put them on display for the holiday. 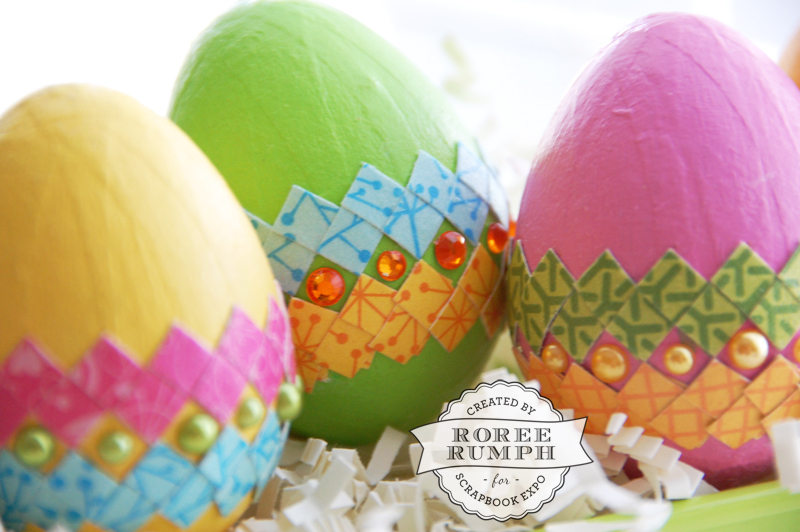 This entry was posted in At Home, General Crafts, Home Decor, How To, Make It Monday, Paper Crafts, Tutorial and tagged Acrylic Paint, Easter, Eggs, jewels, Paper Mache, Patterned Paper, Pearls, Roree Rumph.